The purpose of the Chebeague Recreation Center is to provide children, teenagers, adults and seniors with a facility in which they can participate year round in activities specifically designed to fulfill their recreational, educational and social needs and to enhance their skills and enjoyment. The activities will be conducted in a positive alcohol and drug free environment. The diversity of the programs will benefit the entire community. 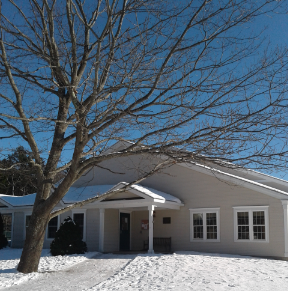 Chebeague Recreation Center, Inc. is a non-profit corporation whose purpose is to provide recreational, educational, and social opportunities for the people who live on Great Chebeague Island, Maine year-round and seasonally. The Center was built in 1997 with donations of money and services from hundreds of supporters and we opened in February of 1998. Our programs include workout facilities and classes, professionally led camps, swim lessons and pool workouts, preschool, child care, classes and workshops, a teen drop-in center, and more. See the Program links at the left of this page to learn more about current programs.